The Dairy Cottage is simply stunning and has everything you need for the perfect break. It features fully equipped modern fitted kitchen and bathroom, a large living room/dining area and three good sized bedrooms. The secluded tranquil setting takes you away from the hustle and bustle of daily life. Cosy up by the wood burning fire, or relax in the outdoor hot tub looking down at the stunning views of the Swansea Valley rolling a hills… a view that will truly take your breath away! The Dairy Cottage accommodates up to six people in three comfortable bedrooms, and features one double room, two twin bedrooms, and a modern bathroom with shower and bath tub on the first floor. The ground floor comprises of a open plan dining and sitting room with large leather sofas, a flat screen free-view TV, traditional wood burning stove with logs provided, and a fully equipped modern kitchen. We provide all linen and towels and free toiletries. At Cilhendre Fawr Farm we pride ourselves on being eco-friendly and do our upmost to contribute to sustaining the future of our much loved planet. Our heating system is powered by a Biomass boiler as Biomass fuels produce a fraction of the Carbon emissions of fossil fuels making them a carbon lean technology. The process of burning a fossil fuel releases the stored carbon that was contained inside it, millions of years ago, back into the environment. Biomass fuels are what are known as contemporary carbon which means that when they are combusted they release the same carbon levels that were recently consumed by the growing plant, meaning that the carbon levels are consistent and sustainable. We also recycle all waste wherever we can. Recycle bins are provided in each cottage. The Cottages can be hired together to accommodate up to 18 people. We had the most fantastic time in the Stone Barn at Cilhendre Fawr Farm, spending 3 nights here. We found the cottage in perfect condition and was lovely and warm on our arrival. The weather was rather disappointing for our stay but having such an amazing base for the weekend certainly made up for it. The weather also didn't stop us from making the most of the hot tub which was amazing and even in the grey weather the views were lovely! The kitchen was well equipped and the log burning fire was a welcome asset to the cottage making it very cosy indeed. Diane made checking in and out very easy, was no hassle at all. The setting is pretty idyllic and we felt very lucky to be there! We hope to return in the not so distant future and will certainly be recommending to all family and friends. Thanks for a lovely rural retreat! 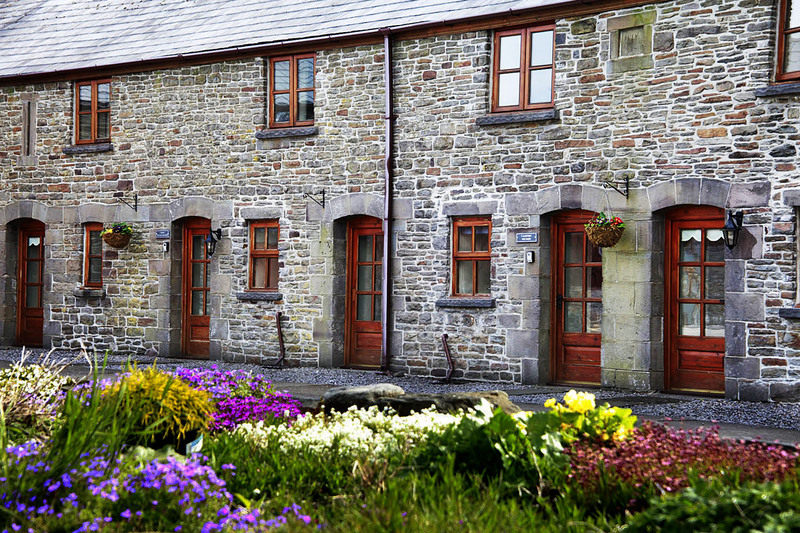 Check availability of all our cottages!